This jerry can holder allows positioning a single jerry can onto the roof rack. 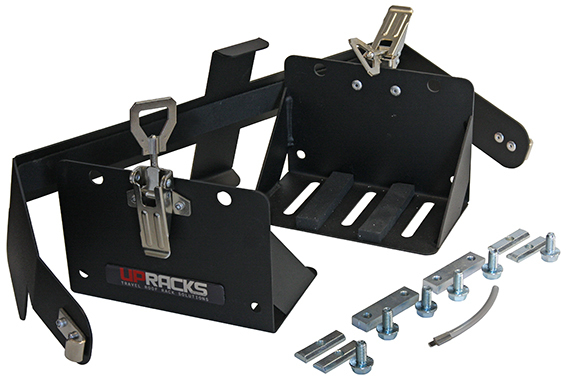 It can be fitted both longitudinally and transversely in order to facilitate and optimize weight distribution on the roof rack. 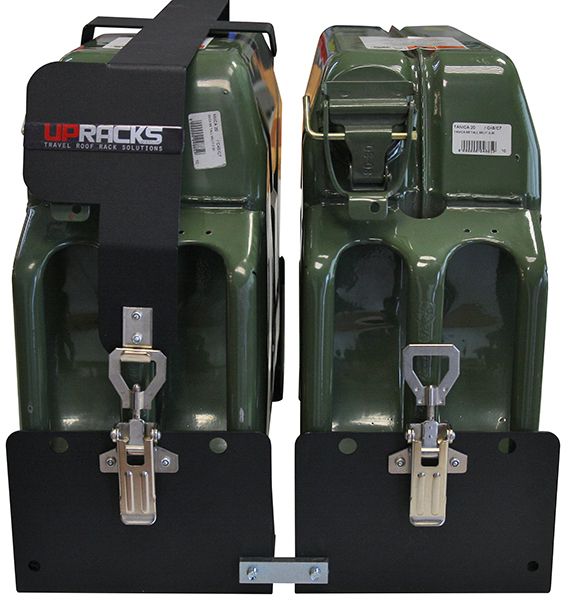 The single jerry can holder kit can be combined to other jerry can holders by means of a connection member. 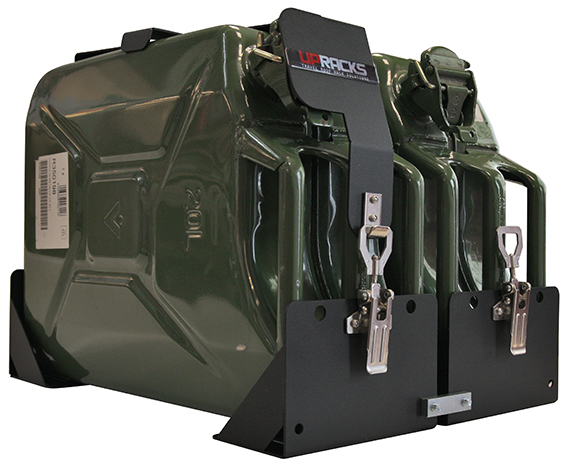 In this way it is possible to have multiple jerry can holders which are perfectly interconnected and bolted to the roof-rack. 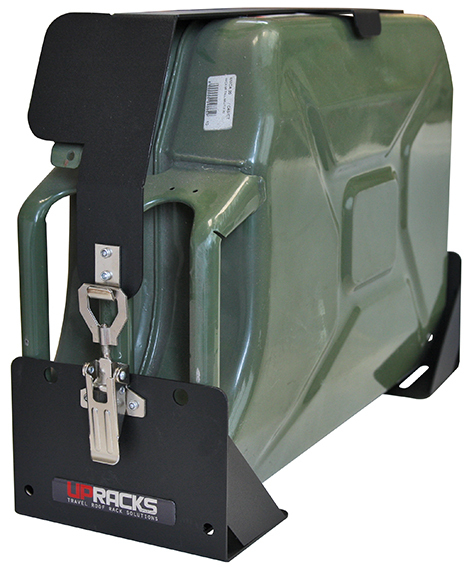 The jerry can holder has specific holes to allow fitting an anti-theft padlock (not provided). Also with INOX clamp (63-A005X).